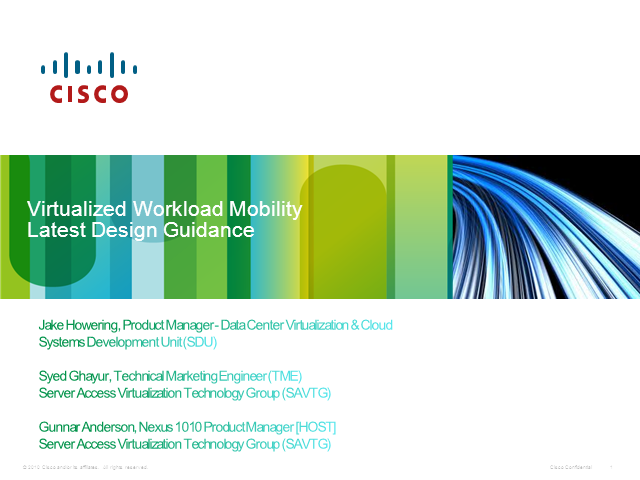 In this webinar you will learn about the latest advances in Cisco's Data Center Interconnect (DCI) architecture which is the underpinning technology behind Virtualized Workload Mobility (aka Long Distance vMotion). Cisco's partners for this architecture include VMware, EMC, and NetApp. We previously did a webcast on July 27th under this subject so this session will discuss the advances since that time.